We take pride in providing high quality dental services at our state-of-the-art facility in Spring, TX utilizing the highest level of technology currently available. Among the latest innovations is Galileos 3D Imaging. Combining digital imaging, diagnosis, and treatment planning, this enables us to integrate solutions more promptly and efficiently. This comprehensive digital diagnostic solution only needs a single 14-second scan to check all the clinical information necessary for developing diagnoses and treatment plans. Galileos 3D Imaging features software that will help find the right treatment for complex dental problems within minutes. The dentist in Spring, TX will start with a comprehensive exam that includes the Galileos 3D scan to produce a 3D image of your teeth and head. 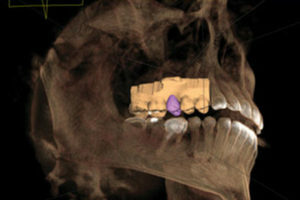 We may also use the software for planning of restoration treatments such as dental implants. With this sophisticated technology, our dentist in Spring, TX will provide accurate diagnosis and faster treatments you may not find in other practices. A complete 3D understanding of your mouth gives Dr. Reagan the best possible information for diagnosing conditions and planning the most appropriate solution. You, the patient, are better informed about your condition and treatment plan. Less chance of aesthetic complications or unfavorable results. Please feel free to browse our website to learn more about our services. To set an initial consultation, contact our office at (281) 401-8200.